were mining tin to make bronze. are the ores found in granite and purple placer deposits. are the useful and toxic chemicals. but by itself tin is totally non-toxic. but no survivors told of problems with buttons. but really they contain only copper and tin. chewing the labels glued with something tasty. with just as much pain and blood. A tin mine, especially in Cornwall or Devon, is called a stannary. The Latin word for tin was stannum, possibly borrowed from the Celtic. 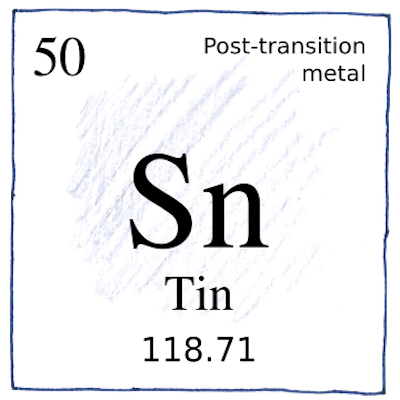 The chemical symbol for tin is Sn.